The painting’s seller is part of the clique of billionaire oligarchs exerting an outsize influence in global affairs — and art. Last night, Christie’s auction house sold “Salvator Mundi,” which it claims is the last painting by Leonardo da Vinci in private hands, for an astounding, record-setting $400M (the final price was over $450M with fees). The sale was controversial for a couple of reasons: that mind-numbing number itself, but also the fact that there are a lot of questions — and serious doubts — about the painting’s authenticity, restoration, and provenance. One can therefore be forgiven for initially overlooking another elephant in the room — the identity of the seller. When there’s this much money involved, though, it usually pays to follow it, and here the money leads directly back to the Russian billionaire Dmitry E. Rybolovlev. Rybolovlev’s family trust sold the painting, through Christie’s, to an undisclosed buyer, but if his name sounds familiar for other reasons, that might be because in 2008 he paid (through a company he controlled) $95M to buy a Palm Beach mansion from Donald Trump. Or it could be that he’s also known for allegedly using his art collection to shield money from his wife, a bitter conflict brought to light in the Panama Papers. 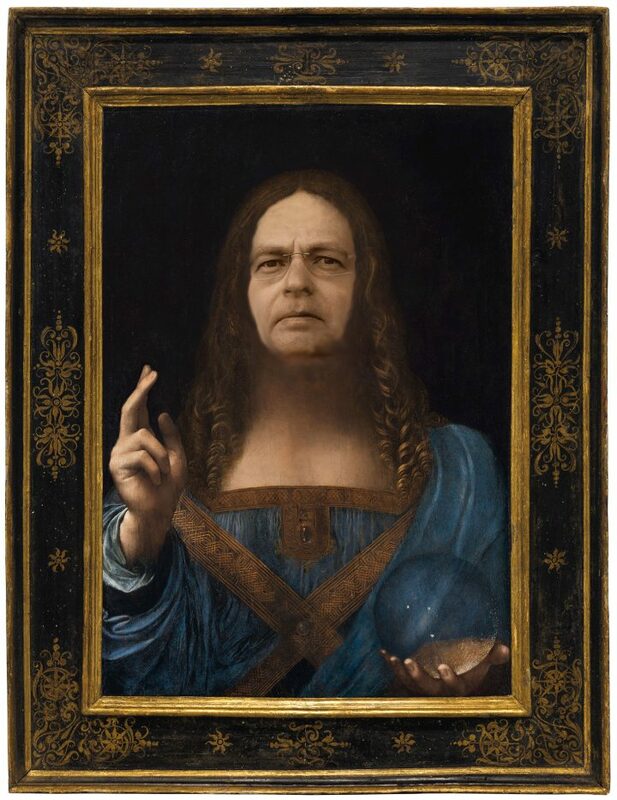 Or it could even be in connection with “Salvator Mundi” itself: Rybolovlev has been in a protracted legal battle involving Sotheby’s and “freeport king” Yves Bouvier over alleged overpayment in Rybolovlev’s purchase of the painting. With much of the public-facing art world firmly turning its back on the Trumps, it’s yet another example of the fraught, high-stakes interests at play. When a controversial piece of such dubious authenticity is sold at prices no museum can afford, making it available only to the increasingly indistinguishable cliques of oligarchs and their head-of-state business pals, it contributes to a market where expertise and devotion to art are dispensed with; the final word on what’s a Leonardo and what isn’t goes to the highest bidder, not the most knowledgeable or most dedicated scholar. It’s hard to envision any benefit to society, or artists, or art.